The master bedroom at StoneGable is our sanctuary! It took me a long, long time to decorate it. 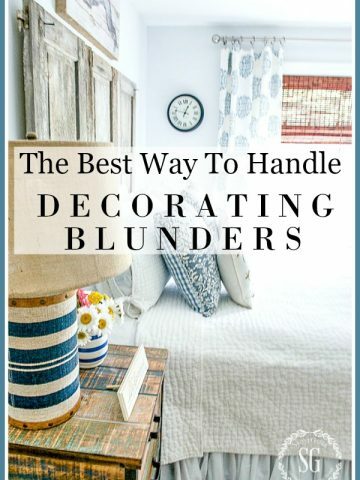 I LOVE the decorating process and have learned to live with a bit of a mess when decorating so I am careful to think through each decorating decision I make! I have decorated then master bedroom and sitting room over and over in my mind a hundred times? Yes! And each time I’ve honed the look and made changes and added and edited decor… all in my mind! 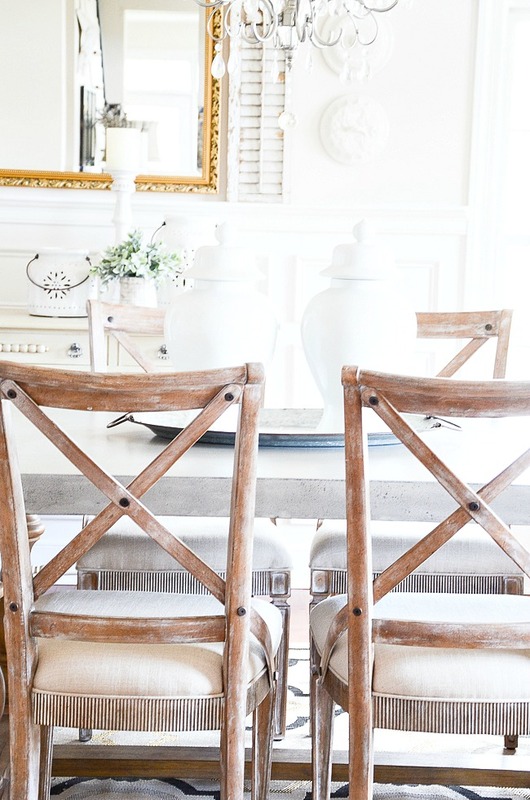 Today I’m sharing MY VERY BEST DECORATING TIP! 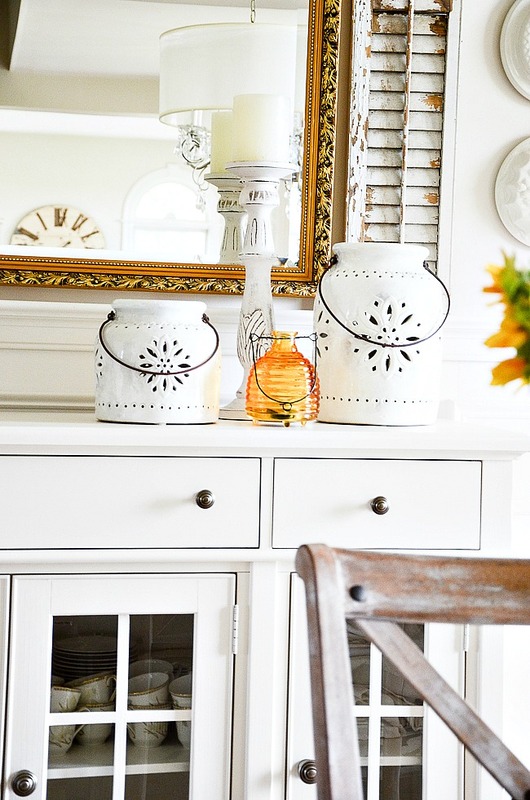 One that so many home decorators skip but really should not! 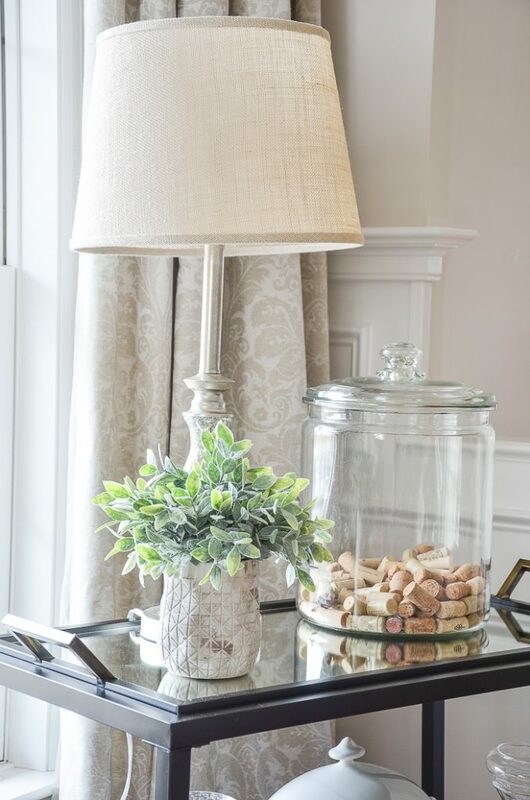 This single tip that can go a long way to assure successful and beautiful decorating! It’s sad to me that home decorators don’t take the time to build an idea board of their own. Yes, it is a little work. But the payoff is huge! 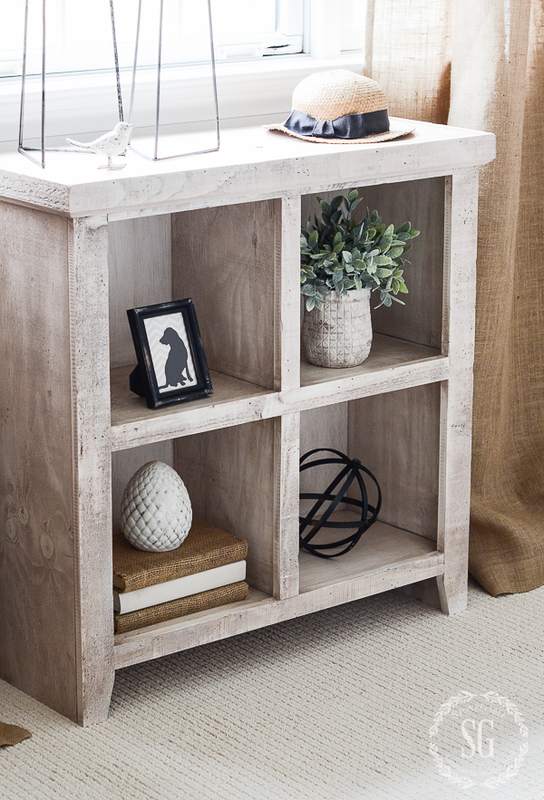 You can actually SEE things you like and have chosen for a room come together before you actually do one thing with your room! 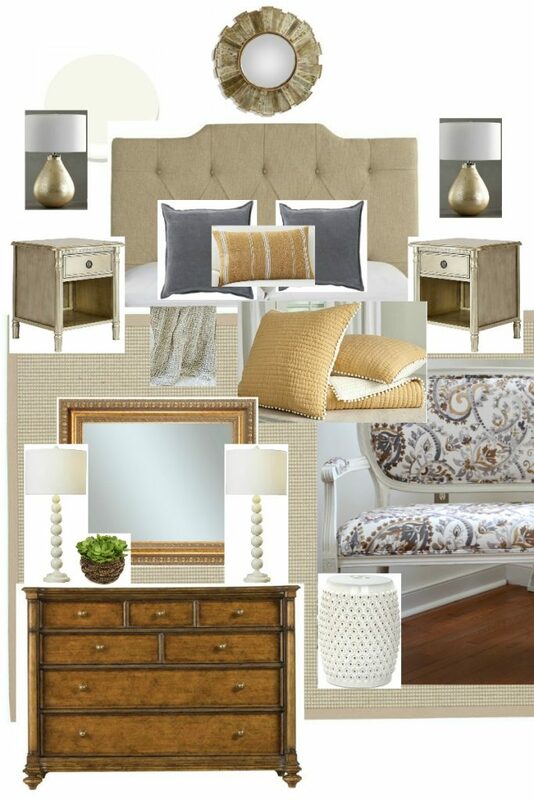 Here’s the idea board I made for the master bedroom. But putting this board together came after I had already done many other things first! I create my board by saving all the pretty images I find on the internet and then grouping them together in PicMonkey, a photo editing app. But creating an inspiration board is only a tiny part of this best decorating tip! However, I’m putting the cart before the horse. 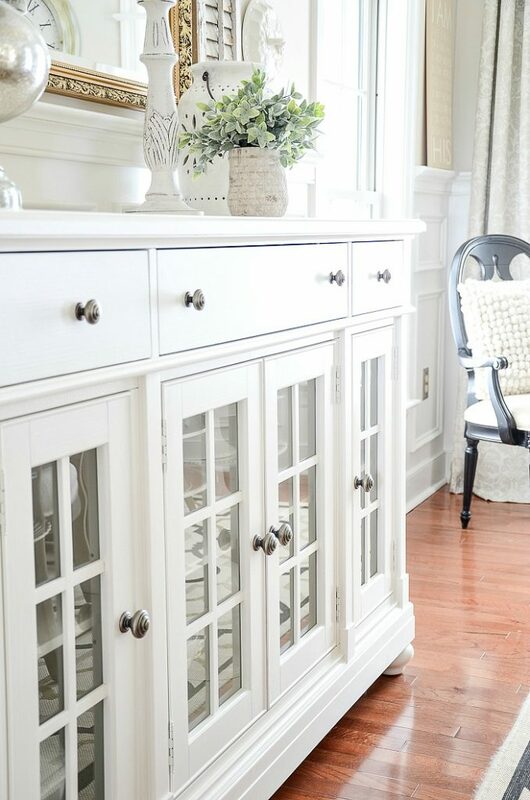 And showing you one of the results of this best decorating tip! There are so many great decorating tips that will save us time and money and help us to create the most glorious rooms of our dreams… but we need to take time for those dreams to develop wings and fly! We need to have time to do what I call “CREATIVE DAYDREAMING“. This process gives our minds permission to think freely and creatively and be inspired. Many of us don’t take the time to work out the changes and details before we begin a project. We just begin! And that often causes us to make decor mistakes and end with decor that is not our heart’s desire! It’s also expensive because we make mistakes! Beginning with a successful end in mind starts with a whole lot of thought and processing… and daydreaming! I go into the room that I will be making any changes in, great and small, and literally sit. No technology, no music, no people, no pets. Just me and the room and a pen and paper. And I sit…. and sit… and take the room in. I don’t hurry this process! I take a good long, look at the walls and the doors and the windows and the shape of room! Also, I get to know the traffic pattern of the room again and reassess them. And I make notes. Copious notes! You will be amazed at what you will be able to see and how the creative process will begin to work. 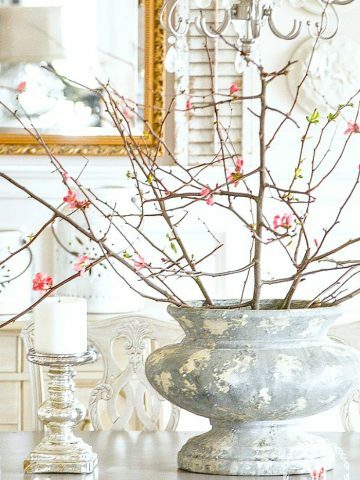 When I am CREATIVE DAYDREAMING so many great ideas come to me… my best decorating ideas come to me. In our daily lives, most of us don’t walk into the rooms in our home and really notice them. We don’t take the time to give them a scrutinizing look! However, when we are making decorative changes we really need to do this! CREATIVE DAYDREAMING is a process! Don’t hurry it! I think the more time I invest in CREATIVE DAYDREAMING the easier my room will be to decorate. Break CREATIVE DAYDREAMING down into a few sessions. I always do this! Sometimes I have pages and pages of thoughts and decorating notes from my sessions! there are a lot more questions to ask yourself during CREATIVE DAYDREAMING! Remember you are writing all your daydreams and thoughts down. You will never remember all the great ideas and thought that will pop into your head! don’t think about that will squelch your creative thought and deflate your inspiration. There will be plenty of time to be more practical as the decorative process moves along. After a few sessions of CREATIVE DAYDREAMING, you will have tons and tons of ideas and lots of notes! 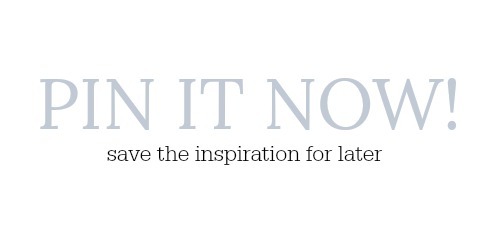 NOW is the time to look for concrete examples of the inspiration you have written down. I LOVE Pinterest and blogs and magazines for finding real-life examples of what I love. Make a Pinterest board for every new project. Gather ideas in one place and MAKE A PLAN! Plan out every detail and every step. I love to make a checklist. This plan is not necessarily written in stone. As you go along leave a little breathing room for your project to grow and change. You might also like to read STAY ORGANIZED WITH BULLET JOURNALING. This post is so helpful to keep your thoughts on track! Use all the pretty ideas from Pinterest and other sources and create a board that will look somewhat like the room you are planning! How fun! Now you will be kicking your project into high gear… and you will be on such a creative high! My next best decorating advice it to DO SOMETHING! Make sure you carry your inspirations and ideas and plans out in action! Don’t let all those beautiful decor ideas languish! CREATIVE DAYDREAMING +PLANNING +ACTION= FABULOUS DECOR! You have a formula to create a beautiful home… one project at a time! Hi Yvonne – Would you recommend all this planning if you know you are in a rental for a season? Also, which room of the house would you start with when you move into the new house? How do you keep these projects moving? I think I could pin and brainstorm, but the implementation is harder. Hi CC, I’d make my rental comfortable, clean and organized if it were me but not put any more thought in my rental than that. I’d concentrate on my new home. It’s really up to you what room to start with, but I always begin with the kitchen. It’s the heart of my home. Also, it’s much easier to make meals in an organized kitchen. I’d also enlist a small army of friends and family and church members to help me get every room in “working” order. As far as implementing a decor plan. Make a checklist and timeline and tick off things as they are done. Giving yourself a deadline is a huge motivator! Congrats on your new home and God bless you in it! 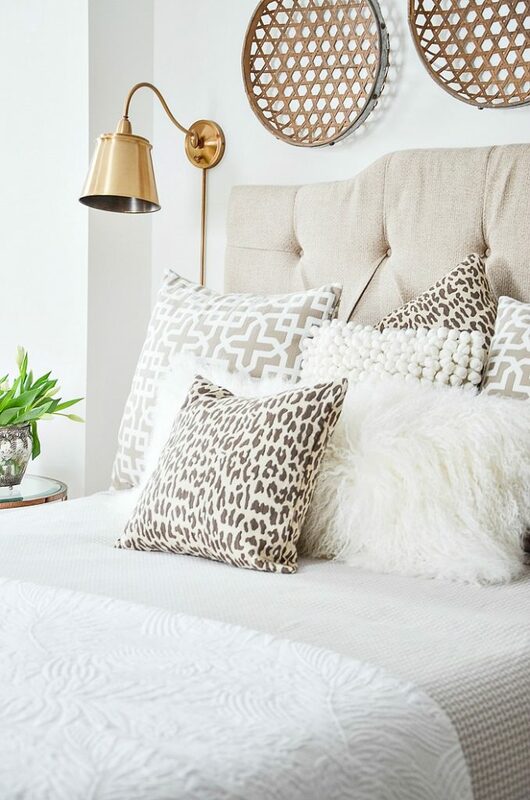 I love the animal print pillow on the bed in the first picture, where did you get it? Thanks! Hi Denise. I found them at Ballard Designs. They are fun aren’t they? What a beautiful and powerful process! Creative daydreaming can definitely spark magic that can make you create wonderful things in your home. I love even the sound of it. 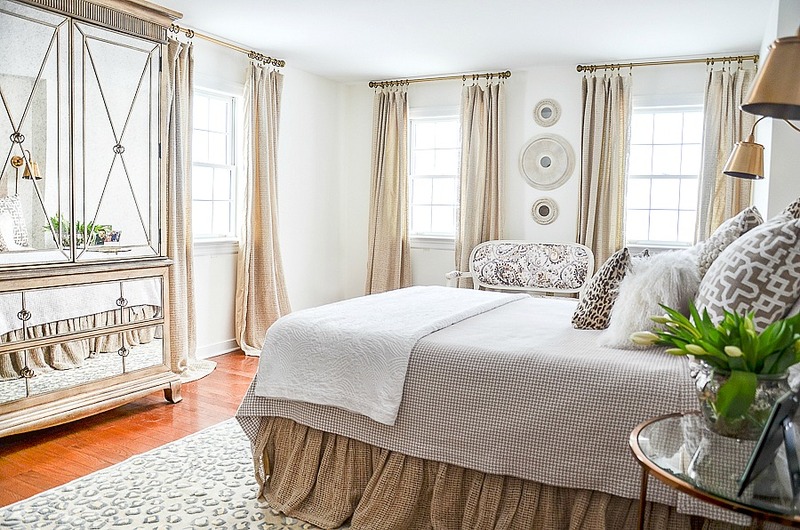 Your master bedroom is proof that it works. From bedding to curtains, it’s so breathtaking and elegant. You definitely created a masterpiece here. Thank you for sharing this wisdom and tips, it’s so useful! I love the animal print photo in the first picture, where did you find them? Thanks! The pillows came from Ballard Design. Hope this helps, Denise! I think a long time about how to go about decorating a room. I have pictures clipped from magazines years ago that I still gravitate to. One thing I have done recently is move an object from one room to another to give it a new life. I had decided to replace the lamps in our guest room, and I couldn’t find anything I liked. Then I decided to see how our living room lamps would look in the guest room. Wow, they look great and they changed the whole look of the room. Now I am on the hunt for new living room lamps. Have been taking your advice for a long time now—-so very helpful and affirmim! Currently an redoing the guest bedroom in our downsized cottage. Using twin beds on purpose. Question: would it be better the separate the beds with small nightstand or keep beds closer together with a nightstand for each on the far sides? Have room to do either. Hi Marcy, separate the beds with a common nightstand. It works great and looks pretty too! Do you have an app you use to gather parts of your idea board on? I find that if I clip pictures from magazines they become clutter after awhile , but pictures I tend to refer back to. Yvonne, just curious, does Bobby love projects and re decorating as much as you do? He is very helpful. He does not care much about decorating but he knows I love it! Hi Jane, the bedroom is not my master but a guest room. I got this headboard years and years ago and the company is no longer in business. Sorry! Yvonne, I couldn’t help but smile as I read this post today. I am currently working with a designer to design our new home. We started months ago, and by now I had expected to have the plans drawn. But my designer assured me that the best/cheapest time to make changes is now, while I am still working with the elevation and floor plan. I have plotted out each room on graph paper and placed the furniture in each room as best as I am able to anticipate it. The Great Room is especially hard, because I plan to purchase some new furniture for it. So I went to online stores to see what I liked to get an idea of the scale of the furniture. While plotting out each room at this stage may seem premature, it has proved to be very helpful. For example, I discovered that my fireplace needed to be moved and that I had about 2 feet by 10 feet of dead space in the Great Room (so we made it smaller). The room plots are also helping me with the lighting plan – it is much easier to see where I need those electrical outlets! While it is still too early to do my idea boards and pick out the specifics, I have already begun the Creative Daydreaming and planning stage, and it has already proved to be very worthwhile! P.S. I am keeping track of everything in a notebook so I don’t lose track of all of my ideas. Excellent idea! I tend to do this for my front yard as I am working on this-again. It really does work well! Great! 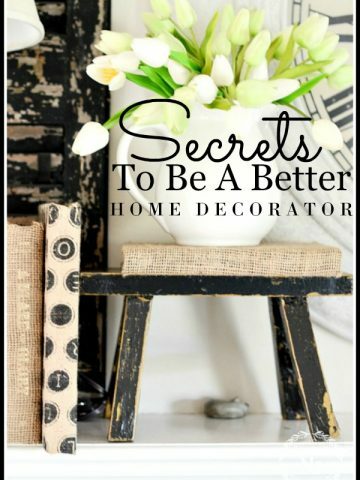 I’m so glad you are doing this very crucial decorating step! Most of us want to rush forward without really taking the time to do a little bit of creative day dreaming! Wonderful thoughts on the decorating process. We recently had weekend guests and the husband said “you really know how to decorate a home”. He didn’t know that it takes a LONG time to pull a design together and it’s the process that I enjoy. The latest projects we tackled were redecorating our dining room, family room and master bedroom – a lot of work. It took about 3 years from start to finish and that was without any construction other than new countertops. 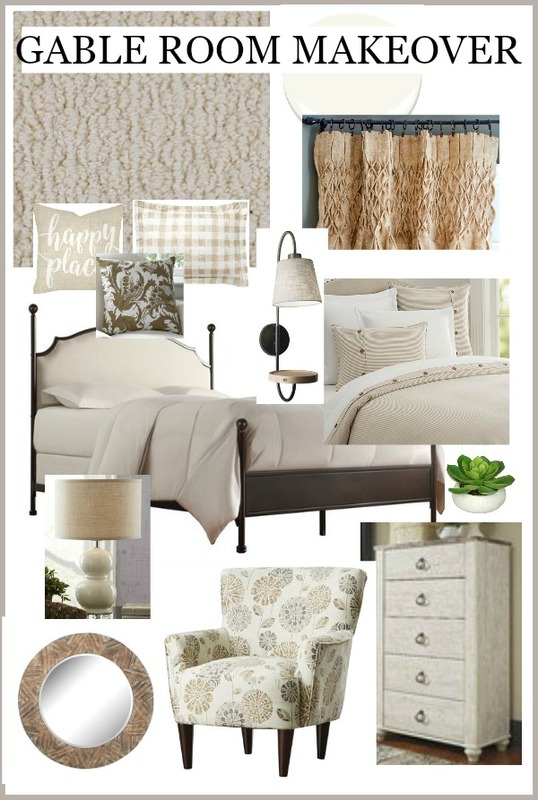 I love your bedroom design board. It’s beautiful – similar colors to our room. The best description of design process I have ever read (and understood). Thank you for this step by step process. Beautiful bedroom. I have looked for the mustard color striped pillow everywhere………would you mind sharing the source? I found it at Pottery Barn but did not see it this year. Sorry! Everything about your home is lovely. 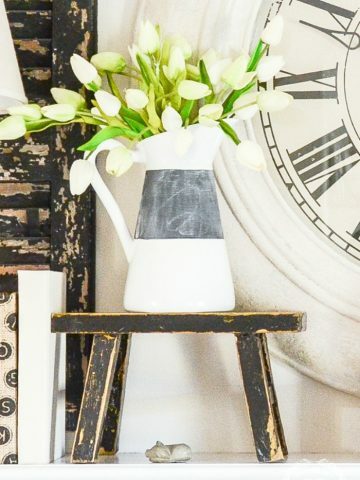 Can you tell me where you found your white ceramic lanterns that also double as a vase? They’re lovely. Bonnie, I think Pottery Barn missed the boat by not keeping these lanterns in their inventory. I could have sold a thousand for them! I have several rooms in my home that I want to redo. This is just the advice that I needed. I can see things in catalogs that I really like, but I need to do the Creative Daydreaming to see if these items really fit into my room. OMG, Your designs are always drop dead gorgeous. I love everything you post. wow, wow, and wow. I just painted our guest room Stranded Silver SW and it looked to be a light greenish color, but even with two windows and white blinds, it still has more blue than I wanted. Although, it is refreshing and beautiful, the rest of my home is a very subtle light green tone. I wanted my color to flow through the home, but does the bedroom need to be in same color scheme? Yes, I agree that you should definitely test color on the wallbefore painting entire room! Yvonne, you did a wonderful job of putting the creative process in writing!!! That took some work, my friend! You are so right about Pinterest being a great decorating tool. I think even the best designers copy ideas from others. Find what you love and recreate it! 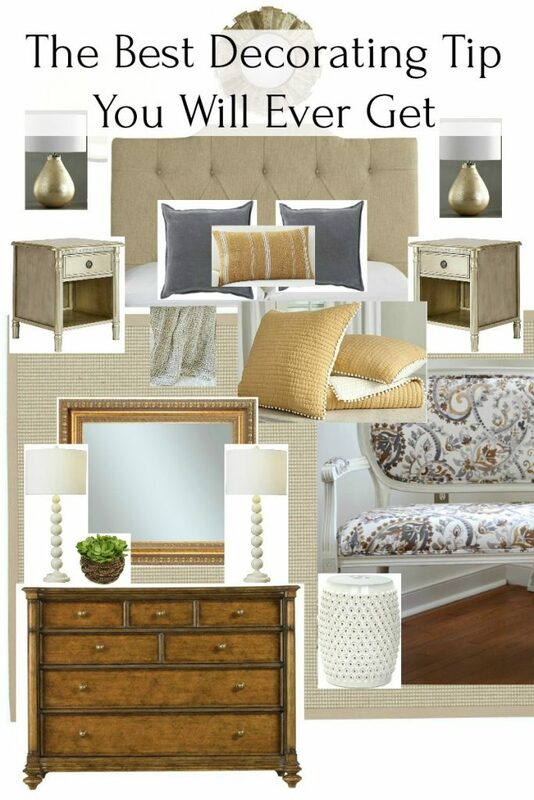 As others have mentioned, I can not wait for your master bedroom reveal! From your mood board, it appears the pretty settee may have been your inspiration piece. We just put in a new kitchen and I had over 2 years of daydreaming and planning it.We also did a lot of work ourselves.It took 3 months with a few minor finishing touches still left to do,but my vision did come to life.Can’t wait to see your bedroom,I’m sure it’s beautiful. I have been wondering about the progress of your master bedroom. I’m looking forward to seeing it, as I have plans to redo ours this fall. 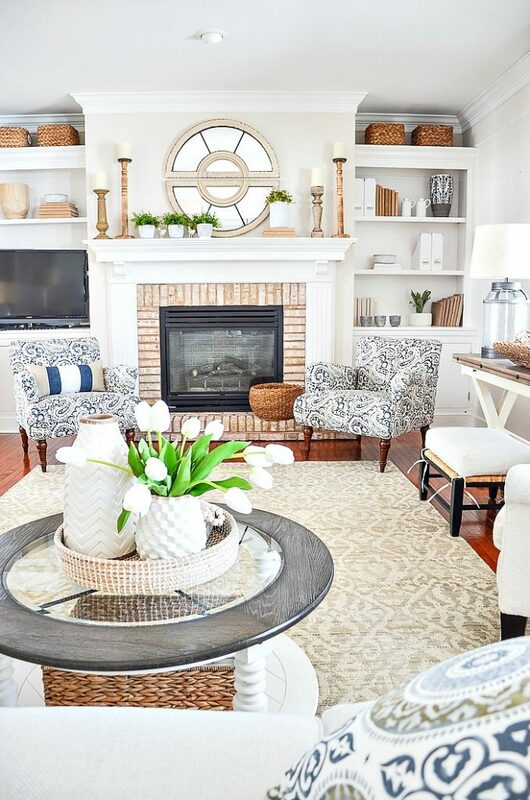 I really enjoyed your post on decorating today. I often sit in the rooms and try to pay attention to the things you mentioned, however I never have taken the time to record or note ideas and then follow through. This process has been most helpful! Thank you! Have a great weekend! I enjoyed this post! I am always creating, daydreaming. My husband and I are the ones who usually do the labor, unless it is plumbing, although we did our half bath ourselves! Thank you, again for your wonderful tips! I am wanting to redo our small Master bath!